WorldBuild Kyiv is the unique fully segmented international trade exhibition providing whole spectrum of technologies, materials, equipment and services for the whole building and construction industry (from architect’s idea up to finishing of the interior). The exhibition brings together B2B audience 92% of whom are the buyers and specifiers coming from every region of Ukraine. It is the event for achieving sales growth, effective marketing, brand development, education and networking though its comprehensive business program. 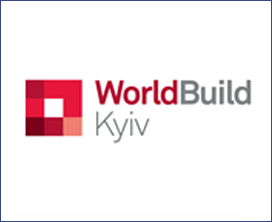 As an annual highly rated and professionally organised trade show, WorldBuild Kyiv is a place where decision makers and industry captains get direct access to bespoke ready-to-use solutions and state-of-the art novelty products, technologies and services.